Paddy Power was founded in 1988 and has since exploded across Ireland and the UK. They are most well known in Ireland. 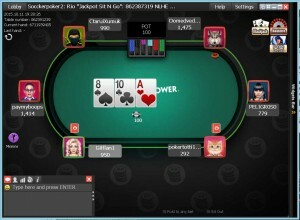 Their online poker room offers a welcome package, which totals up to $525 in free offers. USA players are not permitted for real money play. Paddy Power offers a 100% up to $525 poker bonus and is currently ranked #12 out of 28 reviewed poker rooms with an overall score of 77.51. 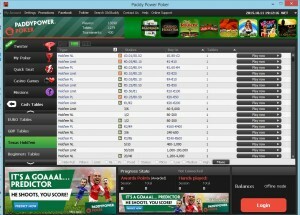 Visit PaddyPower.com for more details and to download the official Paddy Power software. The bonus at Paddy Power is a bit confusing. It technically requires two separate deposits, one without a code, and another one with. I’ll break it down as simple as possible. 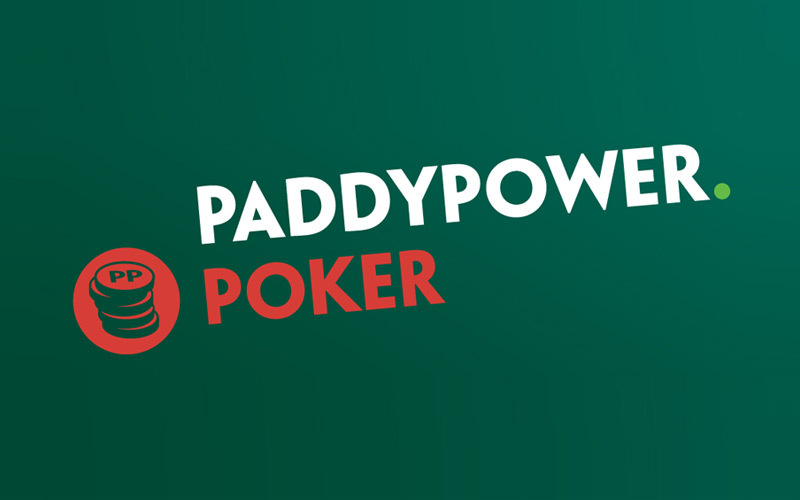 These bonuses are only for new players, and you can signup at Paddy Power Poker here. Using our links supports our website at no cost to you. Note: While deposits and almost all of the games running at Paddy are in €EUR or £GBP, a player’s poker balance is always kept in $USD. That is why the bonus is described in $USD. In other words, a €500 deposit into the poker room will be converted to $USD at the current rate. This is slightly confusing, yet is done automatically and the rate is shown when making a deposit. A minimum deposit of €10 must be made to qualify for the bonus. 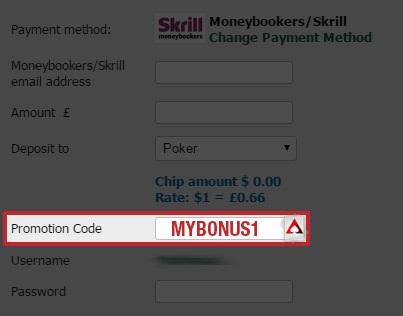 No code is required, the bonus is automatically triggered on first deposit. Upon making a successful deposit and earning 1 power point, $5 cash will be credited to your account. This $5 has no clearing requirements, but is removed 7 days after issue. It’s a non-cashable bonus which should be used as a bankroll pad. Players also receive $10 to use within the casino on their first deposit. Although this isn’t a poker bonus, it’s still free money, which is why it counts towards the bonus total. The $10 free must be claimed within 7 days through the poker client. The bonus expires 7 days after being claimed and must be wagered 50x within the casino. The following games have a 1,000x (!!!) wager requirement; Roulette, Blackjack, and Pontoon. That’s all you get with your first deposit, just a measly $15, and only $5 to be used in the poker room. The bulk of the bonus comes with the second deposit. Your second deposit awards a total of $510, over 97% of the total bonus offer. It’s a bit odd that they break the bonus into two deposits, but it’s not too much of a hassle and is generally painless. The maximum bonus is $500, which is matched at 100%. In addition to the $500 bonus, players are given €10 in tournament tickets. These are credited automatically after the second deposit is cleared. The tournament tokens are given as; 3 x €1 General token, 3 x €1 Twister Token, 1 x €2 General Token, 1 x €1 General Token. These tokens do not come with an expiration. The $500 bonus must be cleared by earning Power Points. Each time 334 points are collected, $5 of the bonus is released. This means 66.80 points are worth $1 of the bonus. The total $500 requires 33,400 points. Every €1 paid in rake or tournament fees awards 20 Power Points. This means You will be paying €3.34 in rake for every $1 of the bonus, giving it a value of 31.48%. The total rake required is €1,667.50. The full bonus must be earned within 90 days. This sets the rake per day pace at €18.53, or 370.56 points per day. The 33,400 points collected for the full bonus can be converted to cash or bonuses through Paddy Power’s VIP Rewards. Players can choose between either $205 in cash or $390 in bonuses. If $205 cash is chosen, there are no clearing requirements and the money is available immediately. If a player chooses to claim bonuses instead, they must earn 25% of the points spent to clear the bonus. In other words, spending 33,400 points on bonuses would require earning an additional 8,350 points. This an additional €417.50 in rake. As always, VIP value isn’t an exact number. If you decide to save your points you can claim better cash or bonuses with a higher value. For simplicity, we use the cash rewards to calculate the VIP value. This sets the VIP value at 12.29%. Combined with the bonus value of 31.48, the overall value of the bonus is 43.77%. This means players will receive ~43.77% of their rake paid back upon clearing the full bonus. The below table shows an approximation of how many hands it will take to clear the full $525 bonus. These numbers may not 100% exact and should be used as an average to give you a general idea, rather than an accurate amount. This is because the rake generated varies widely based on playing style. In general, aggressive players generate more rake while more conservative players generate less rake. Therefore, if you tend to play more aggressive, it may take you fewer hands, whereas if you play more tight, it may take you more hands. If you’re looking to play now, you can visit PaddyPower.com now and start earning your $525 deposit bonus! Looking to get started? Signup at Paddy Power through Bonus Ace by using the link above. New players can receive the 100% up to $525 opening bonus offered, described in this review.